Gertrude and Claudius are the "villains" of Hamlet: he the killer of Hamlet's father and usurper of the Danish throne, she his lusty consort, who marries Claudius before her late husband's body is cold. 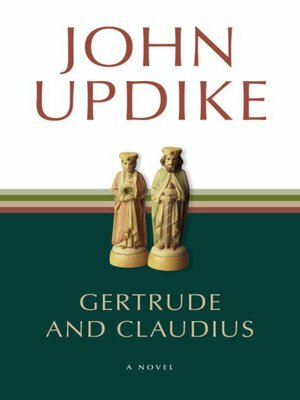 But in this imaginative "prequel" to the play, John Updike makes a case for the royal couple that Shakespeare only hinted at. Gertrude and Claudius are seen afresh against a background of fond intentions and family dysfunction, on a stage darkened by the ominous shadow of a sullen, erratic, disaffected prince. "I hoped to keep the texture light," Updike said of this novel, "to move from the mists of Scandinavian legend into the daylight atmosphere of the Globe. I sought to narrate the romance that preceded the tragedy."